A comprehensive course for learning how to use Photoshop to make amazing images. Transform your digital photos with 220+ pages of image-processing tips and advice for Photoshop CS, CC and Elements. Discover how to use intelligent selecting and masking tricks, learn how to choose the right tool for any project, understand how layers, composites and blending modes work, and much much more. Get stunning results today with Teach yourself Photoshop! Be the first person to tell us what you think about Teach Yourself Photoshop and you'll save $5 on your next purchase! 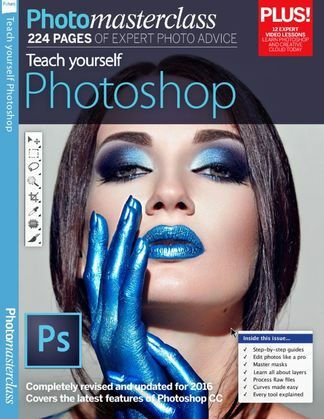 https://www.isubscribe.com.au/teach-yourself-photoshop-digital-subscription.cfm 37110 Teach Yourself Photoshop https://www.isubscribe.com.au/images/covers/au/5254/37110/square/TeachYourselfPhotoshop191610416.jpg AUD InStock /Digital/Technology/PC A comprehensive course for learning how to use Photoshop to make amazing images.